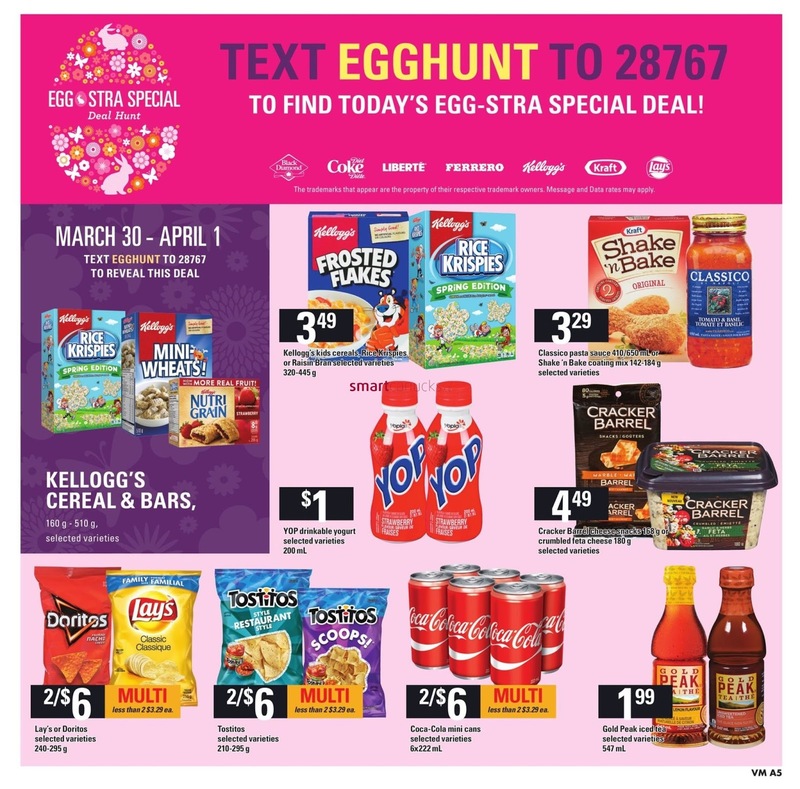 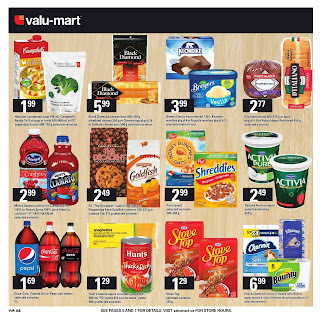 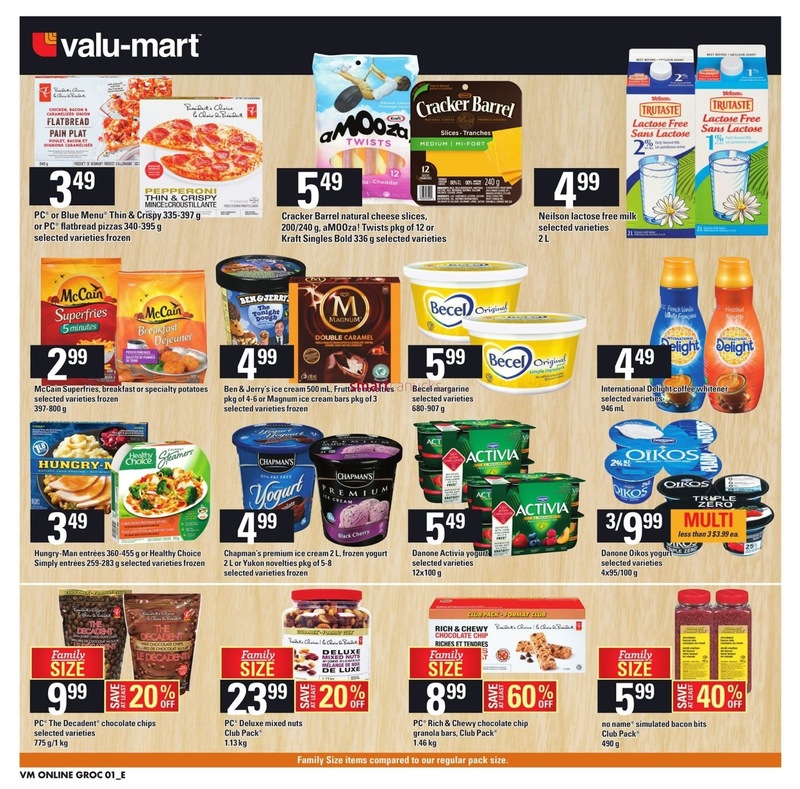 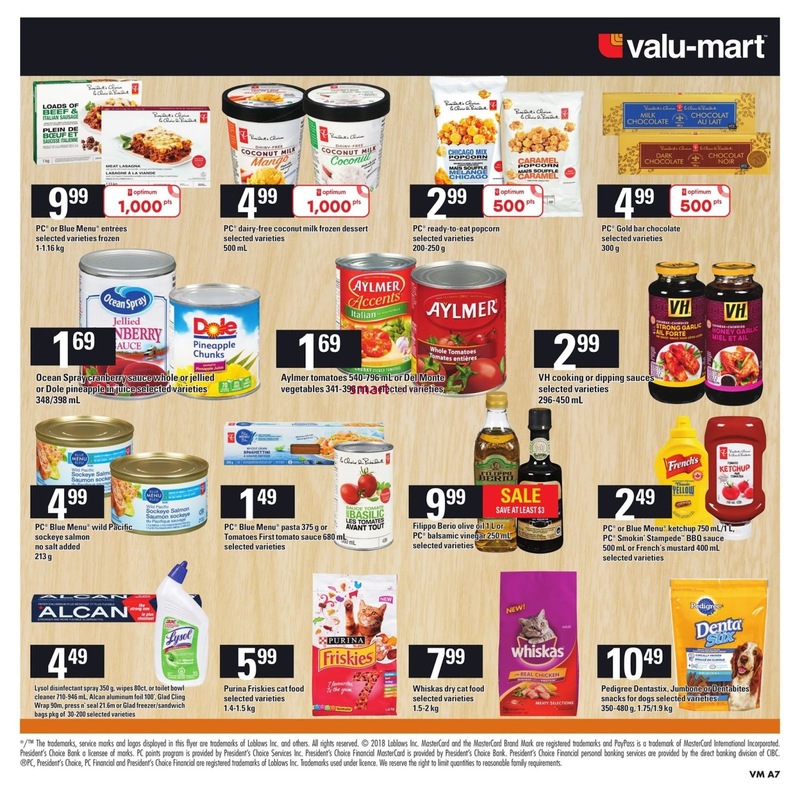 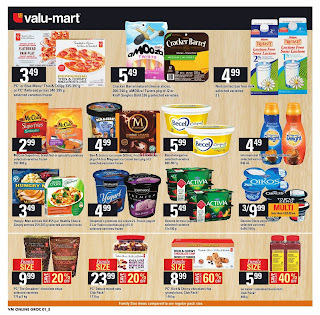 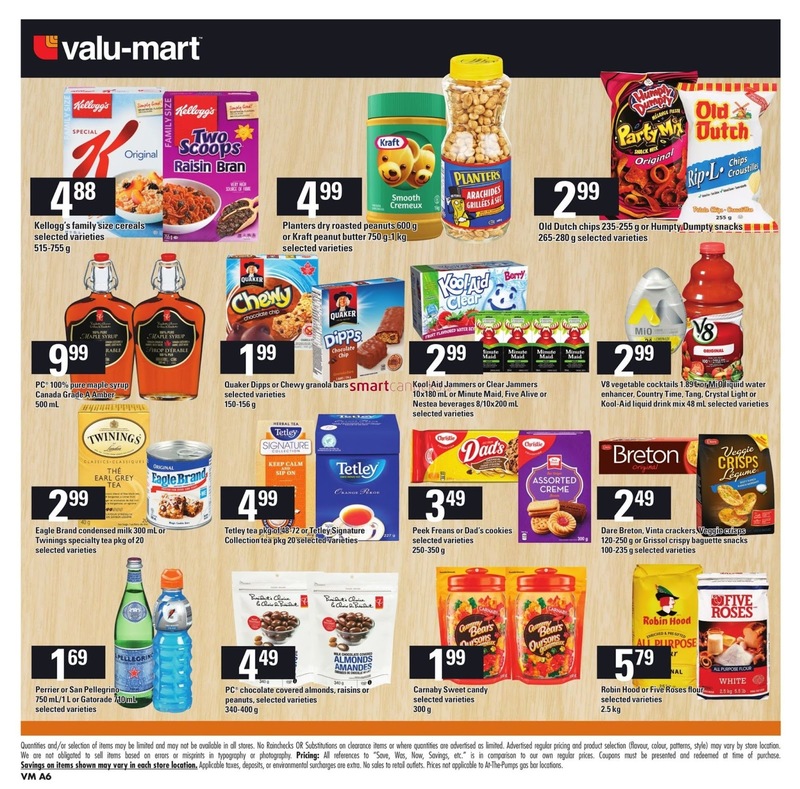 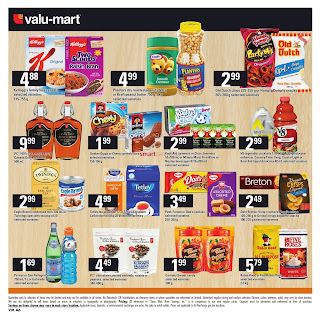 Valu-mart Canada Flyer March 29 - April 4, 2018 - 1.99 Habitant condensed soup 796 ml, Campbell's Ready-To-Eat soup or broth 540/900 mL or PC vegetables frozen 500-750 g selected varieties. 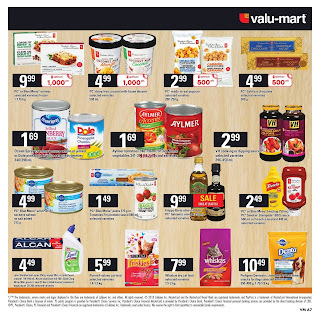 5.99 Black Diamond cheese bars 400/450 g, shredded cheese 340 g or Cheestrings pkg of 16 or Galbani cheese bars 500 g selected varieties. 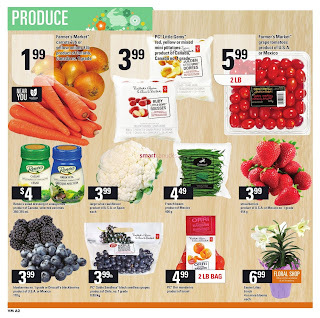 1.49 PC' Blue Menu' pasta 375 g or Tomatoes First tomato sauce 680 mL selected varieties.